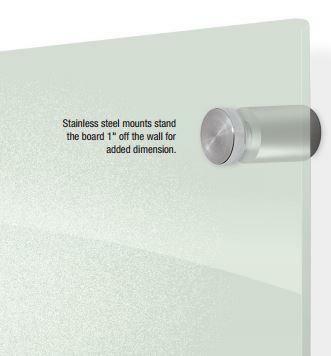 Glass markerboards are modern and sophisticated. 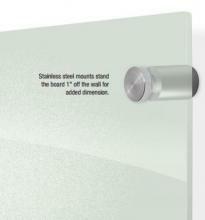 Our special premium finish does not ghost or stain. Tempered glass markerboards accept dry/wet erase markers, grease pens, and fluorescent markers. 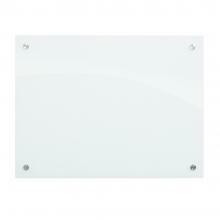 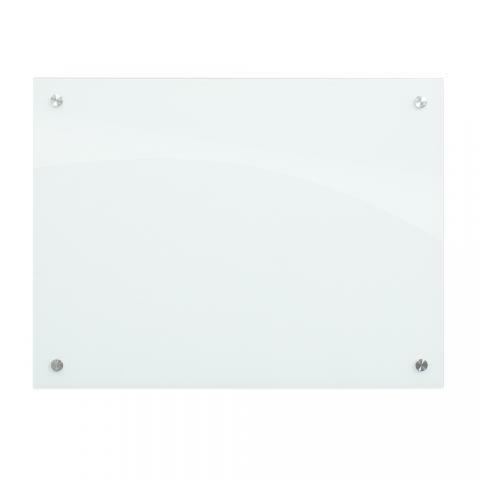 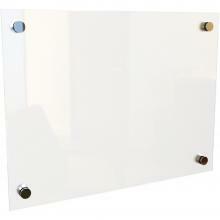 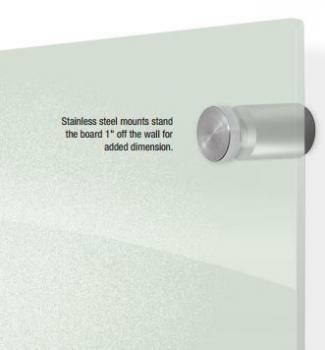 Sleek stainless steel standoffs mount the glass markerboard 1" off of the wall.